The spring launch, although a week later than originally planned, progressed smoothly and relatively quickly. After a chilly early morning start, the sun warmed things up. 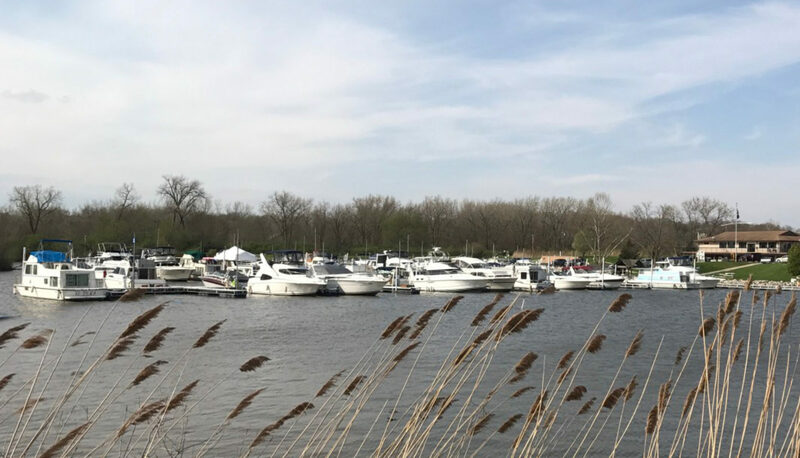 All boats were safely in their slips by early afternoon, and boaters on B and C docks were enjoying their all-new digs. Boaters on the new B dock. The Wallace Fire Dept visited Monday and hosed down the parking lot.